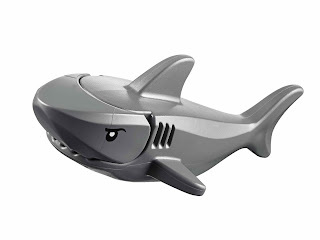 come with a remote sub, a seaweed and a shark. 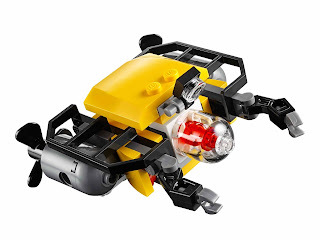 the sub features spinnable propellers and 2 movable robotic arms. 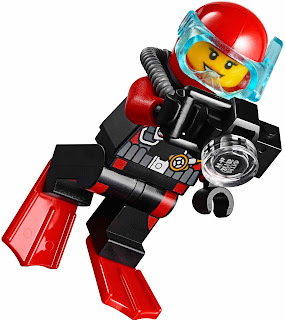 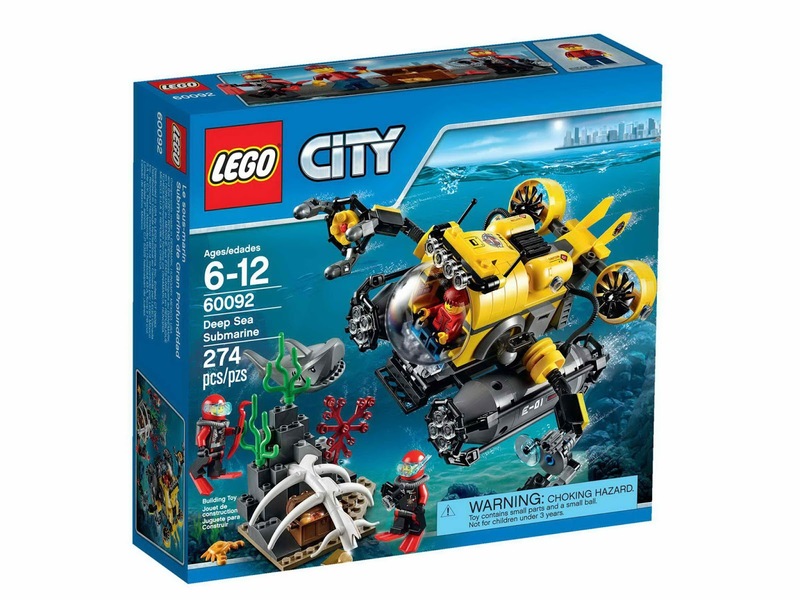 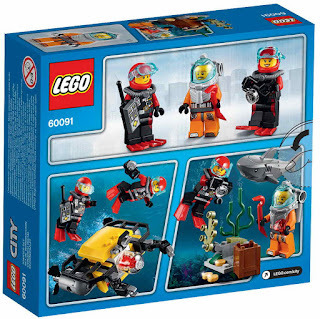 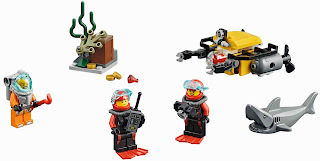 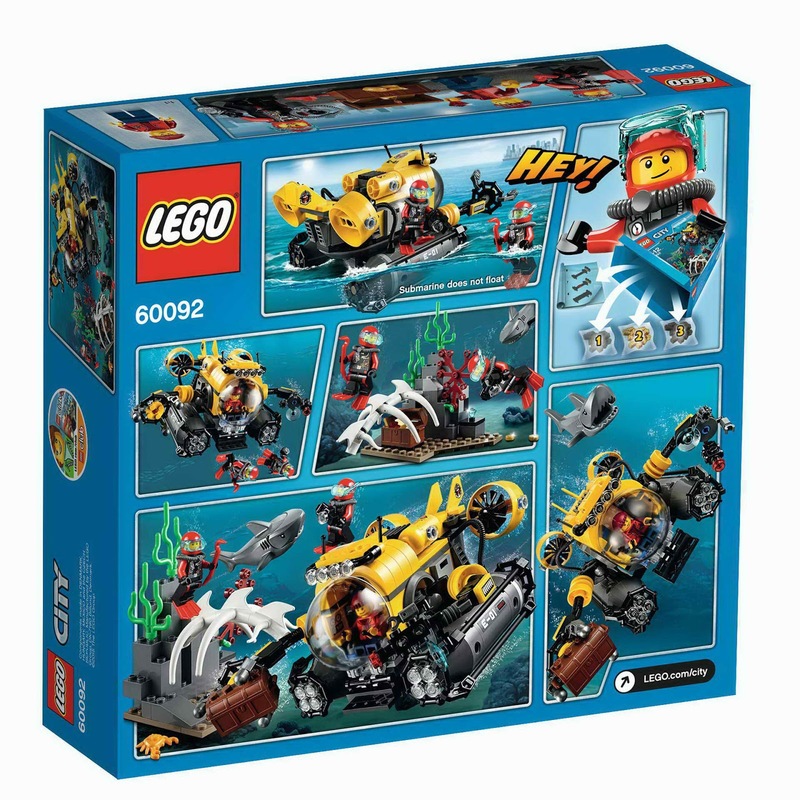 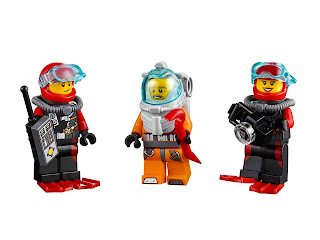 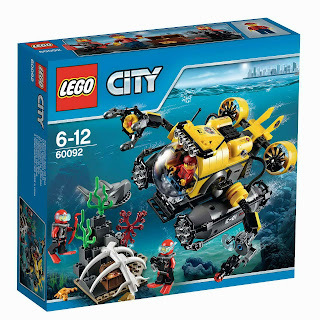 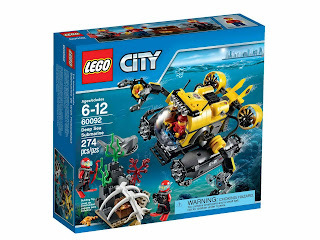 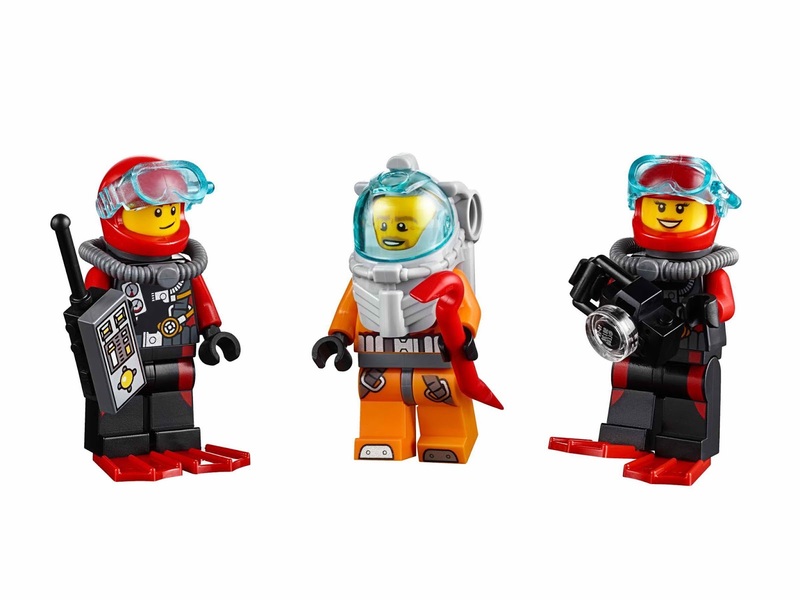 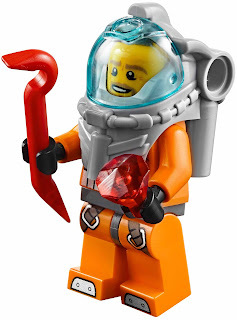 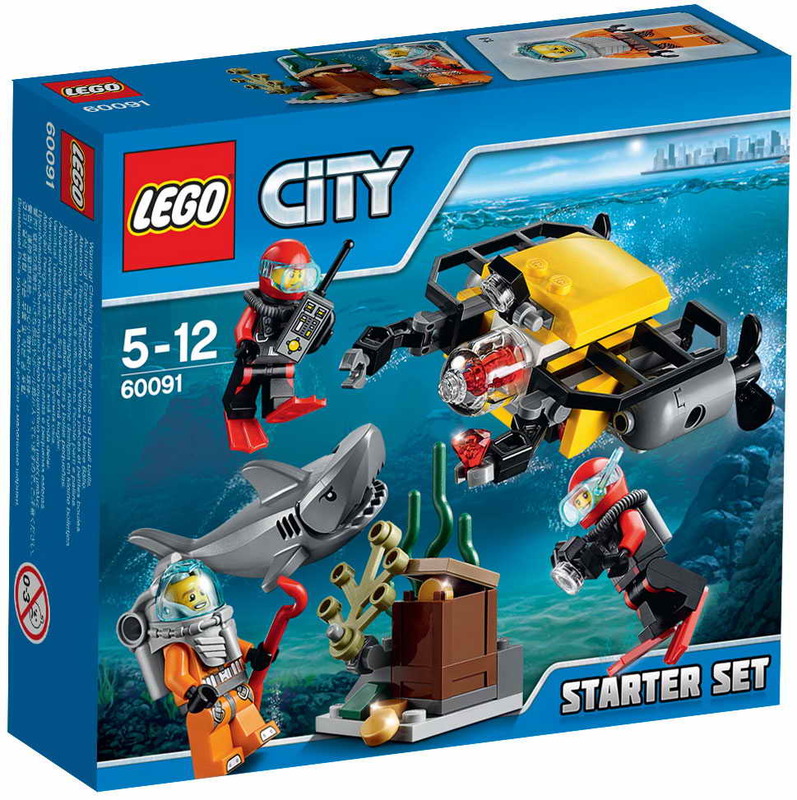 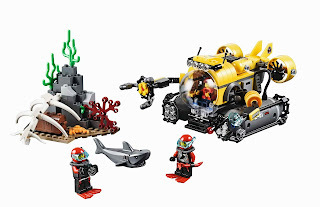 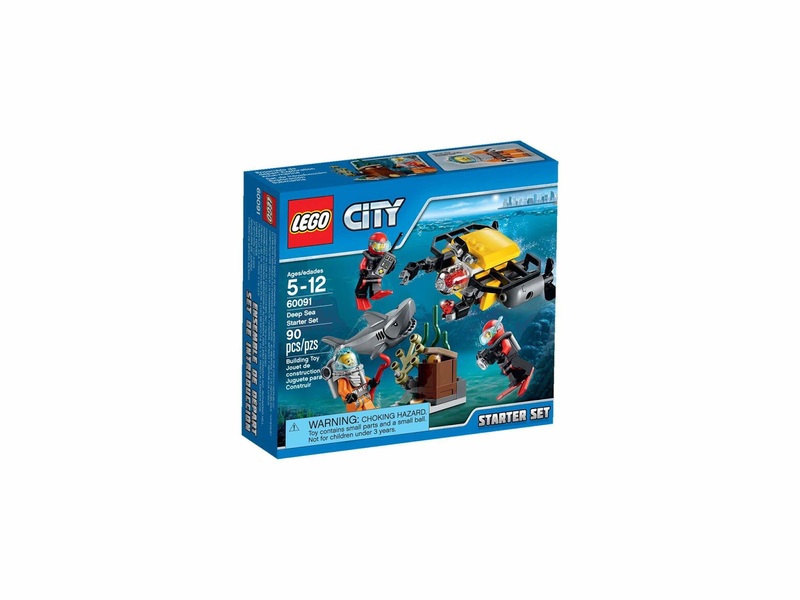 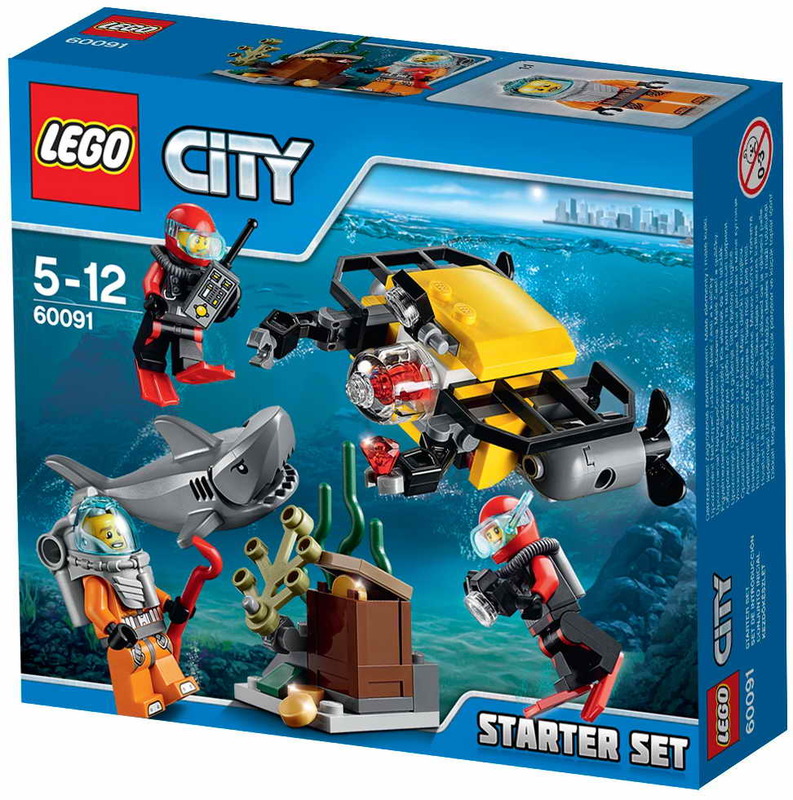 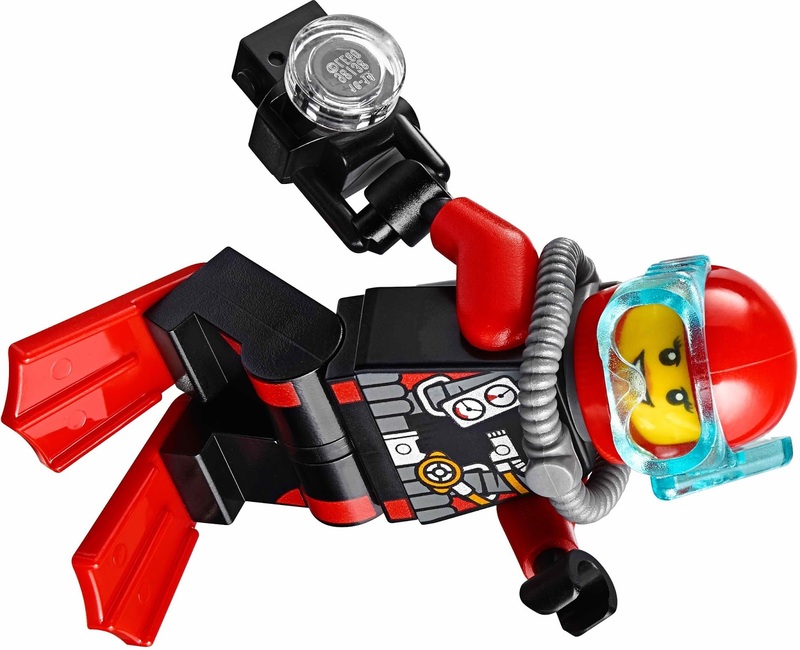 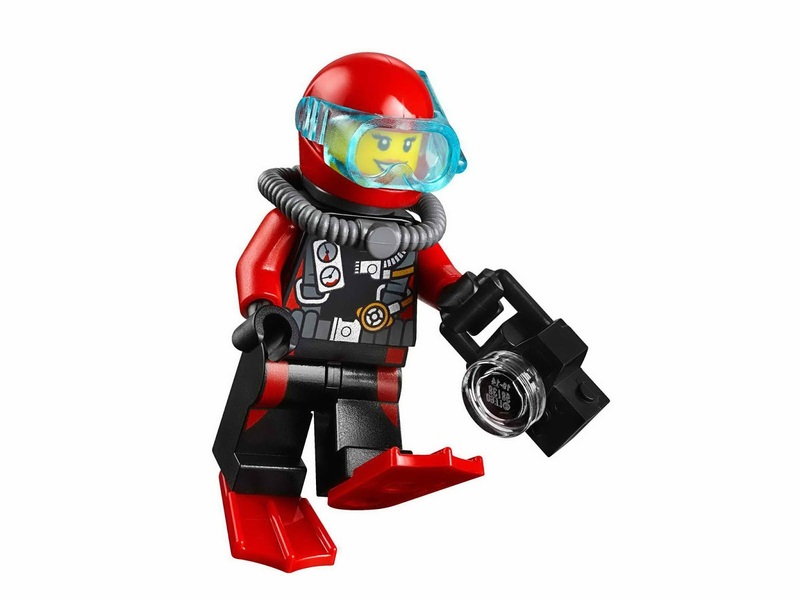 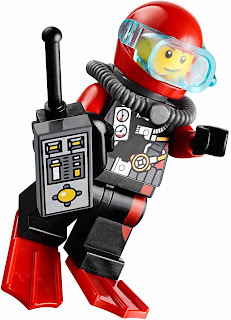 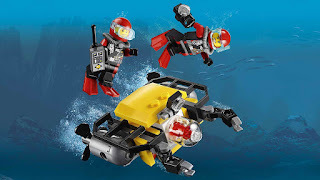 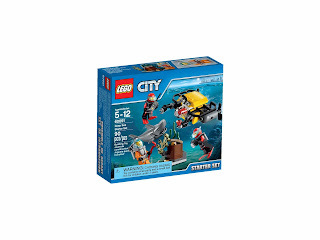 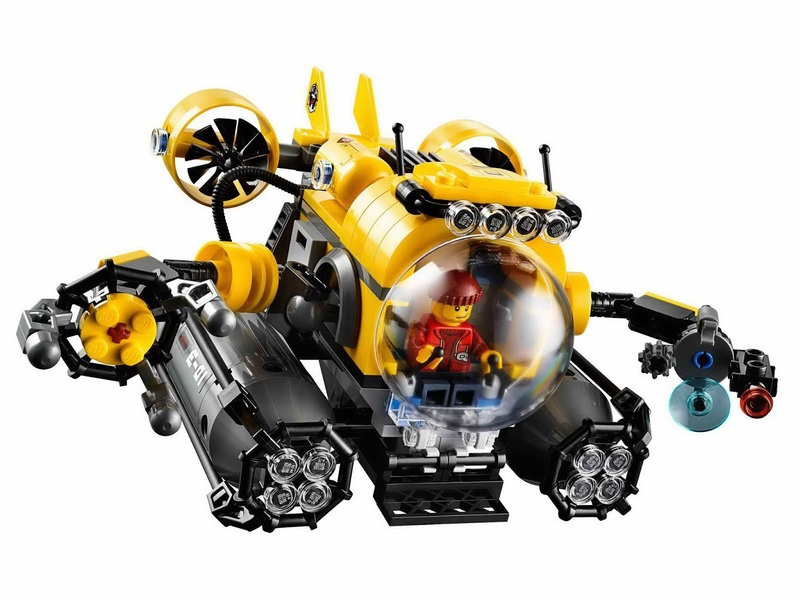 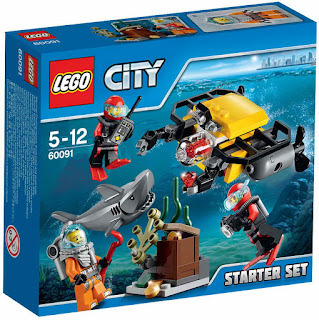 minifigs included a deep sea diver minifig and 2 scuba diver minifigs. 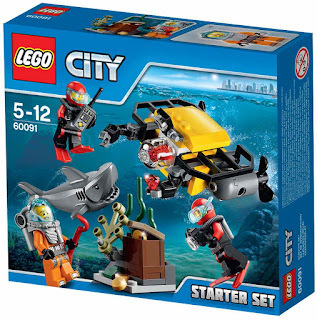 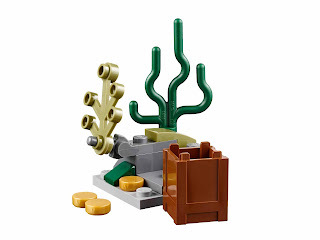 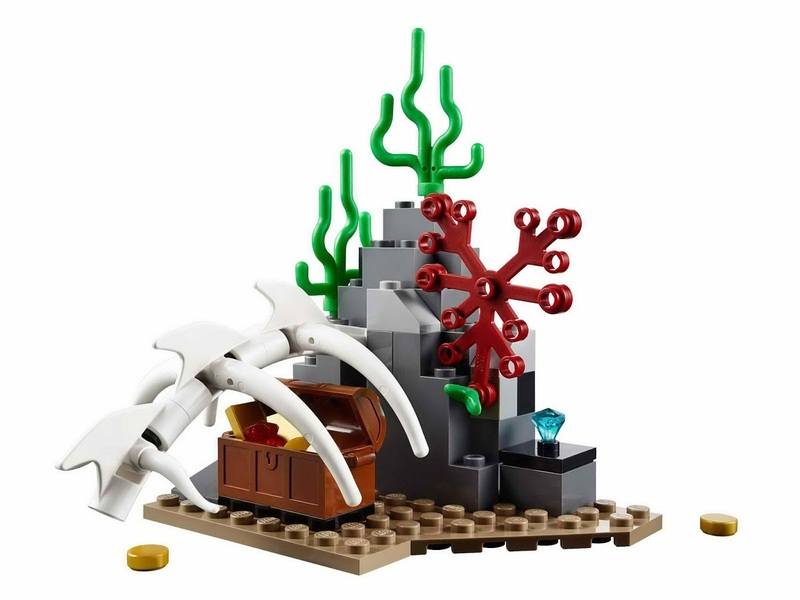 come with a submarine, a whale ribcage, a seaweed, a crab and a shark. the submarine has big external ballast tanks, an openable hatch, a bubble cockpit, tiltable thrusters, a searchlight robotic arm and a grabber robotic arm. 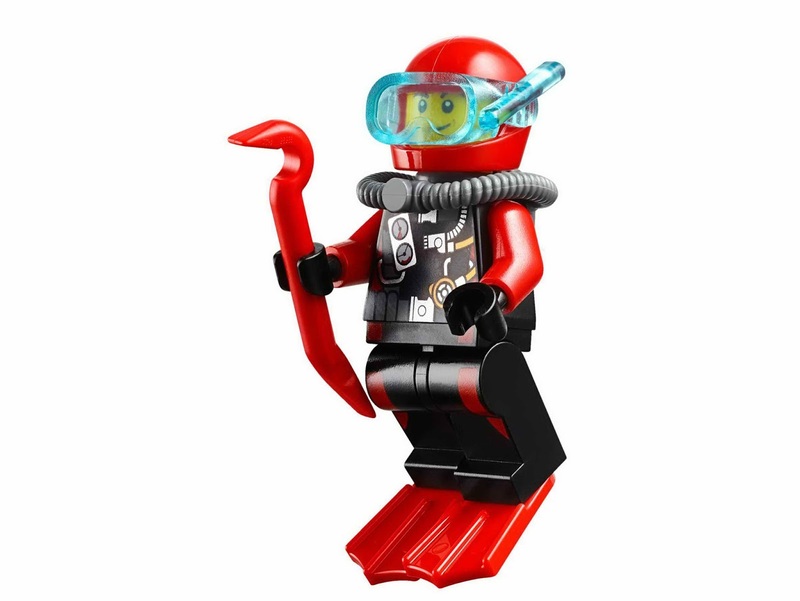 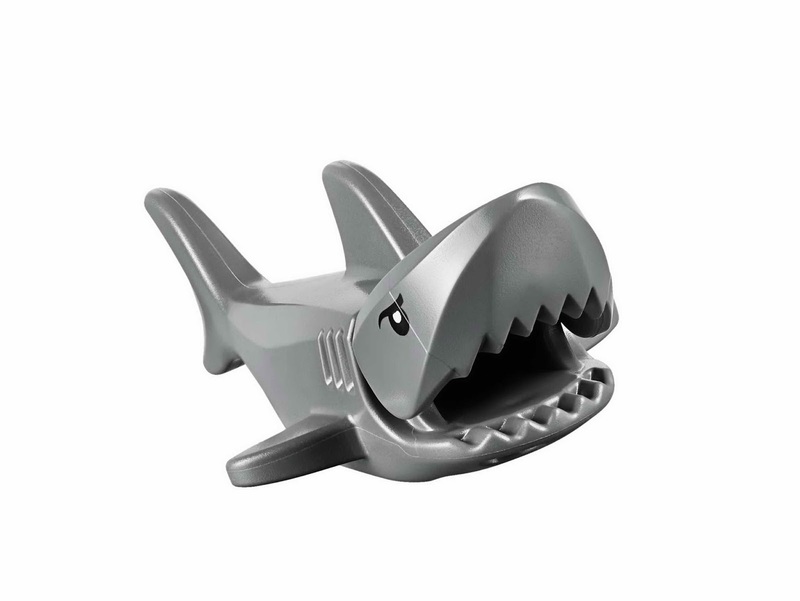 minifigs included a submariner minifig and 2 scuba diver minifigs.